X-O Manowar returns in a terrific first issue! It is appropriate for X-O to lead the charge. X-O Manowar was the first series of Valiant’s return a few years back, and one of their most consistent series. It was a bit surprising when they ended the series last year. Thankfully, this hiatus only lasted a few months. Valiant was kind enough to send over a review copy for the new X-O series which debuts March 22. 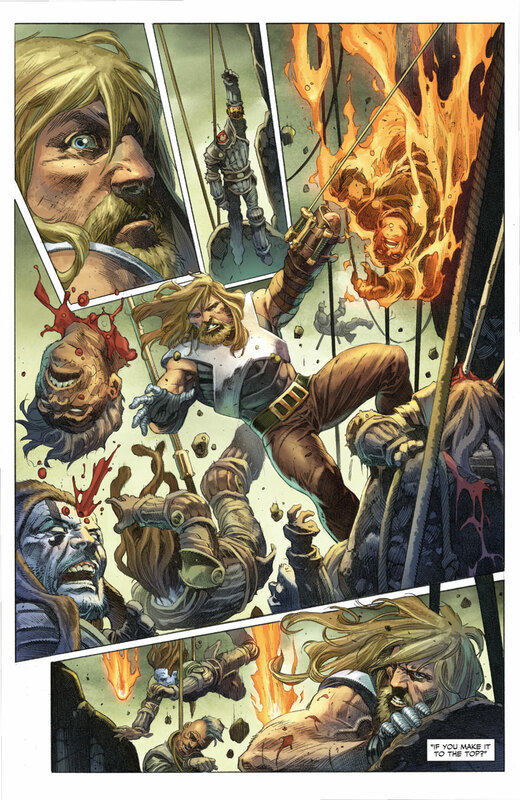 The new series of X-O Manowar picks up with Aric on a far off alien planet. He is trying to live the simple life of a farmer, and he seems to have a lot of hatred towards the X-O armor. He is conscripted into acting as a soldier, and leads a suicide mission. He survives and takes down the enemy. The leaders decide to send him on an even more dangerous mission, so Aric decides that it is time to don the X-O armor one last time. While this was not your typical X-O story, I thought it was still a great first issue. In just one issue, you feel very invested in this world. Watching Aric struggle to get through his battles without calling on the X-O armor creates a real powerful comic. And in the end, when he’s forced to call on the armor, you aren’t sure whether you are be happy or sad for him. Sending X-O to space like this gets rid of the supporting cast and takes Aric far away from the rest of the Valiant universe proper. I think it’s always a huge risk to take a popular character and completely change up the status quo. But, I also think it’s real necessary. Some of my favorite comics are long-running series like INVINCIBLE, SPAWN, and SAVAGE DRAGON where it feels like you are reading a completely different series every 20 issues or so. Too often Marvel or DC keep to the status quo, and even when they change something, you know it will go back to normal within a year or two. From the pre-release publicity, it seems like we will be following X-O’s rise from soldier to general to emperor to visigoth, with each step taking 3 issues each. This seems like an epic, cinematic approach to storytelling, and the first issue gets it off to a great start. Robert Vendetti could have been a hard act to follow, but Matt Kindt continues to be Valiant’s not-so-secret weapon. I loved his work on Unity and Divinity, but he might even have topped those books here. His Aric is a scarred and beaten man who has seen too many horrible things on Earth. And his attempt to escape that turns out to be more of the same. That said, I do hope that at some point, Aric does return to Earth. I would love to see his friends and allies reaction to his new perspective. I really loved Tomasa Giotello’s art here. I was vaguely familiar with his work, but it seemed like he mostly worked for Dark Horse and I don’t always follow them all that closely. His work is a perfect fit here. Everything looks real alien, which is always a huge pet peeve of mine when we see an alien world that looks like exactly like Earth. There is no excuse for that in a comic book when you aren’t restricted by the budgetary demands of a TV show or movie. But Giotello really made me feel like we were seeing an entire alien world here. 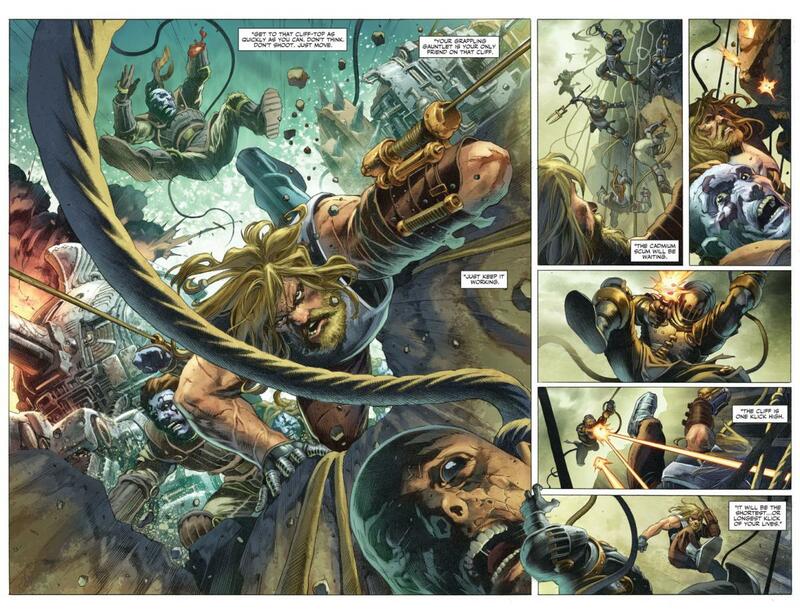 I really enjoyed this new chapter in X-O Manowar’s story. It respects the history of the character while creating it’s own unique path. I did kind of see the end coming a mile away, but that didn’t take away from the comic at all. Definitely worth checking out! X-O has an entirely new status quo! A little predictable, but that is a mild complaint. Yes! Definitely a worthy successor to Vendetti’s epic run on X-O Manowar. The new setting is a needed breath of fresh air, and makes this worth checking out for new and old readers.